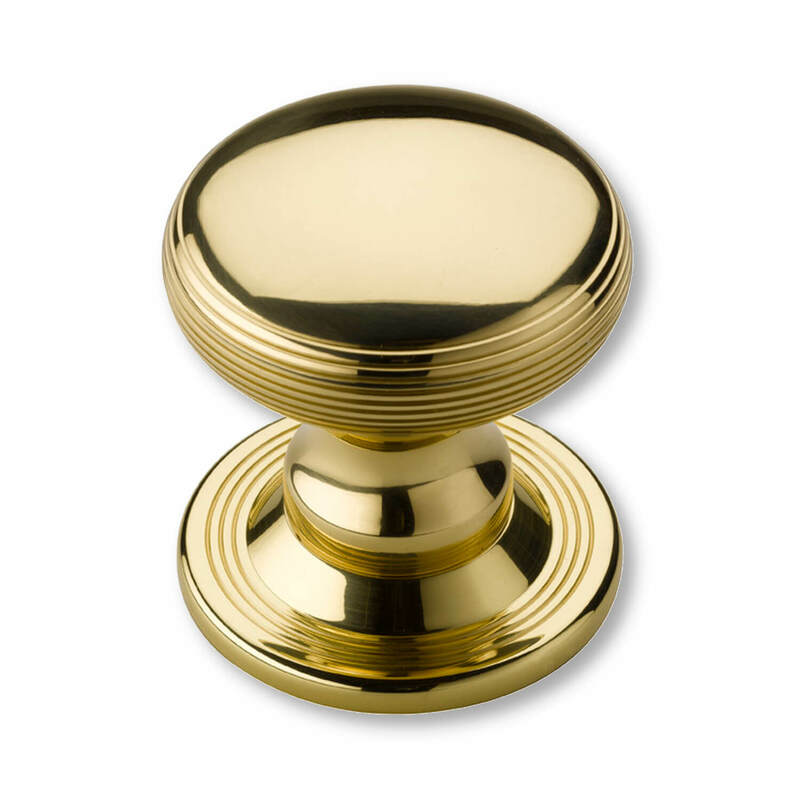 Contour door knob is beautifully shaped to fit the inside door and window fittings. A classic design with precise concentric pattern. Made in unvarnished brass.